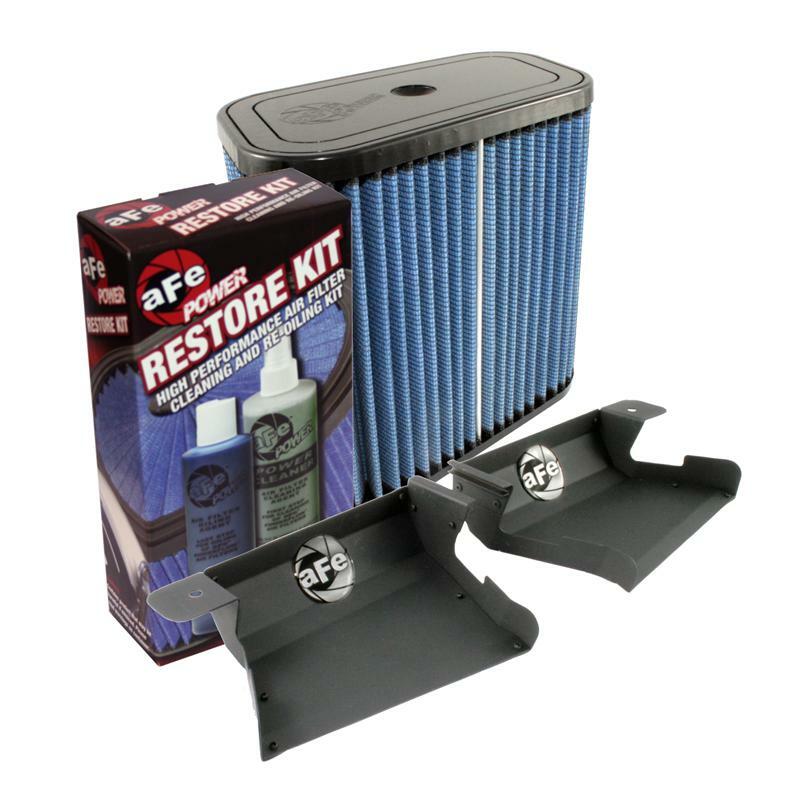 The Super Stock air intake system from aFe includes your choice of performance air filter, Dynamic Air Scoop (D.A.S.) and restore kit that increases air flow 26% over the factory air intake system. The air filter uses a progressive cotton gauze media for maximum flow and performance. The Dynamic Air Scoops are constructed of lightweight aluminum and help guide the air through the kidney bean grille into the air intake for maximum flow and velocity. You will feel the improved throttle response and power immediately.